I don’t know why it took me so long to make this pattern – it’s a fantastic pattern, as I would expect from Grainline. Maybe it’s the fact that I don’t often wear sleeveless tops/dresses? Although, this dress may be the one that breaks that habit. This’ll be a short and sweet post. Not much to say about this dress other than praise. It’s not very fitted at the waist so I like the scooped side hem. The shorter length in the front and sides helps balance out the looseness, I think. The pattern is Grainline’s Alder dress and I made no significant changes to fit or design other than slightly adjusting the pocket placement. 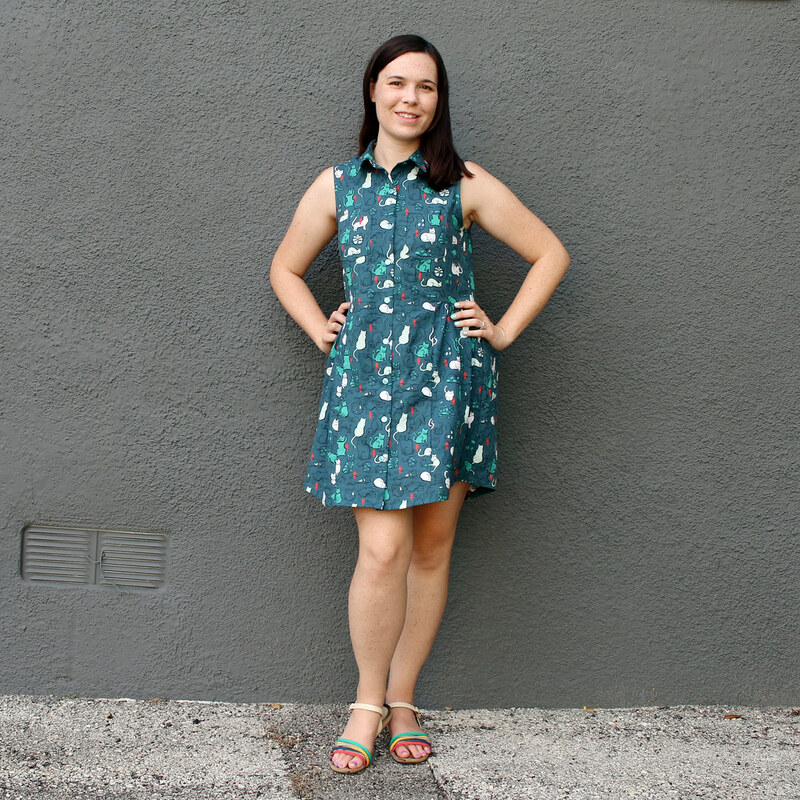 Jen at Grainline is a genius when it comes to armholes – she drafts them perfect every time. 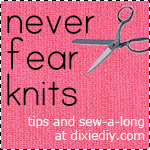 No gaping, no pulling, not too low or too high. And the armscye works for everyone – even if you need to do an FBA/SBA on her patterns, you don’t have to mess with those armholes. It’s like the Goldilocks armhole. 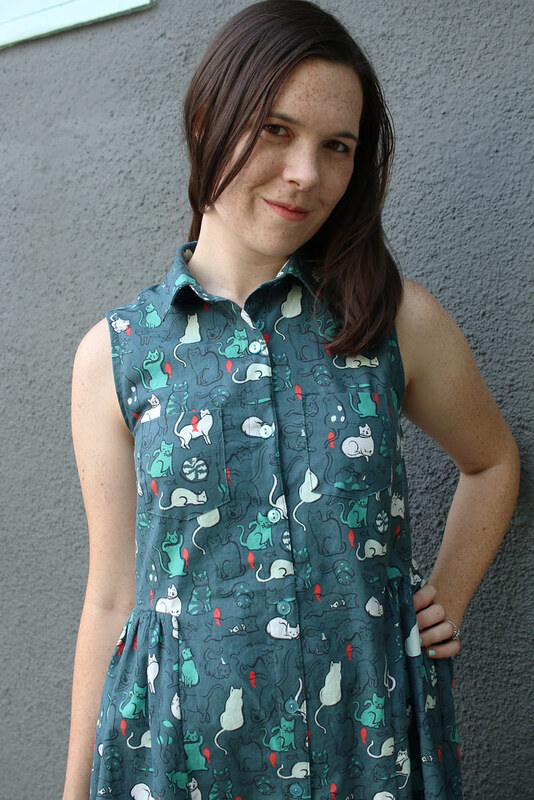 This cute print is from Stitch Lab here in Austin. It’s a quilting cotton but it works well for this pattern. 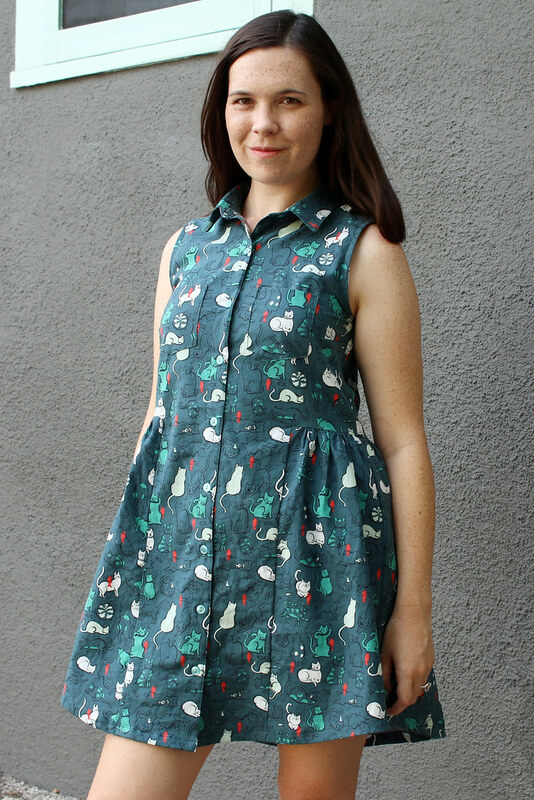 The little round kitties on this print are so much fun – it’s like wearing Neko Atsume on your body. The simple plastic buttons are from my stash. I always get compliments on it when I wear it because of the print. People love cats!